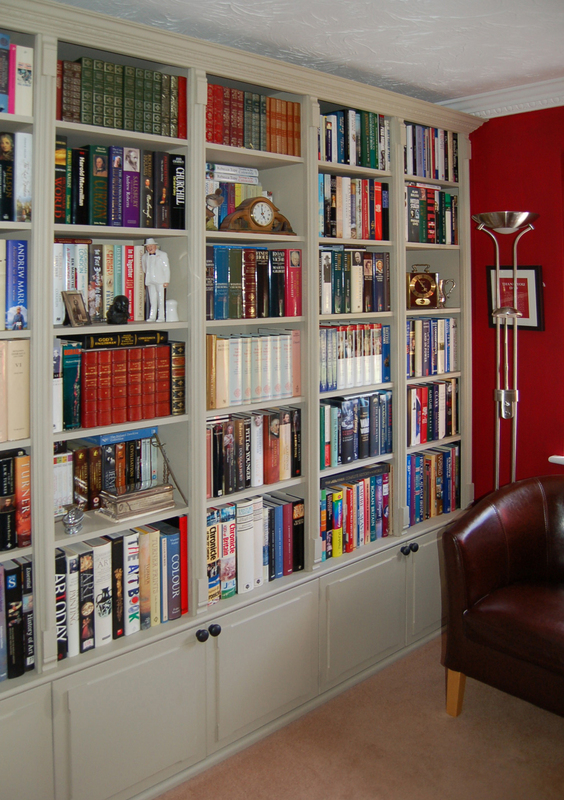 Six double base cabinets and 12 columns of six shelves above surround this home library. 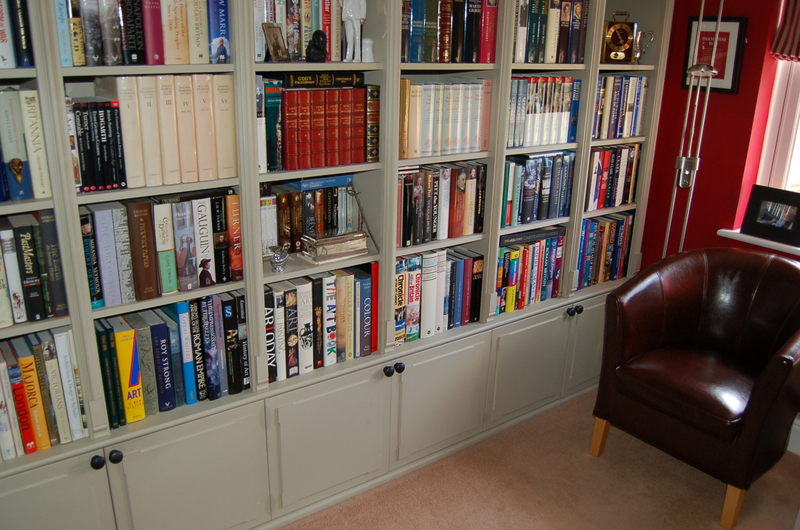 The proportions of these units were designed to house all of the client’s different sized books. 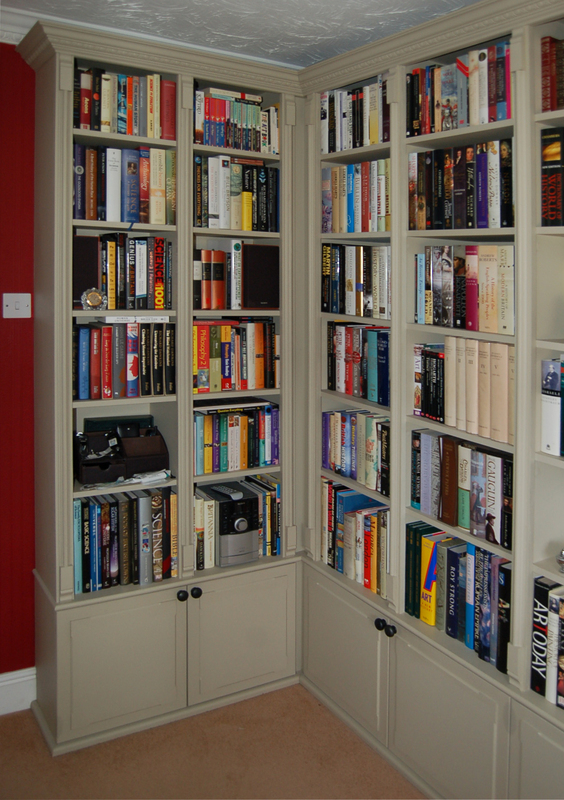 The cabinet doors have simple relief panelling and are fitted with distressed metal effect door knobs. 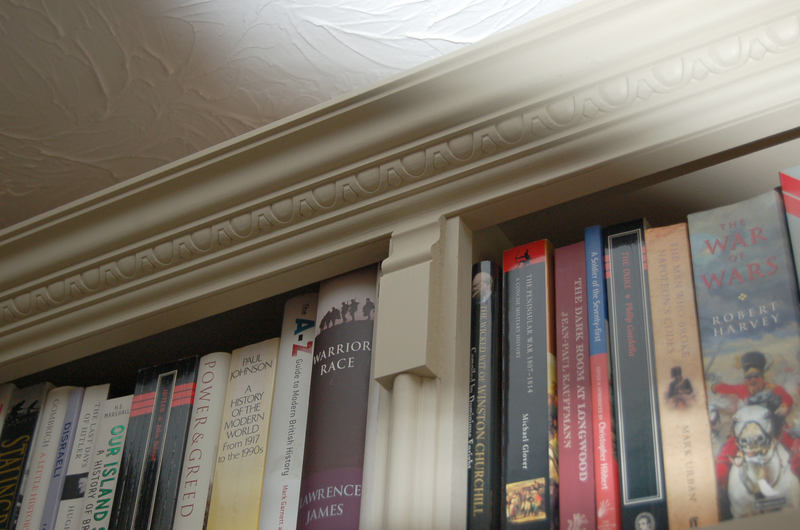 The units are all hand painted in a heritage grey finish.